Lover of skinny jeans that I am, I tend to wear them pretty often, usually when I don't want to think too hard about an outfit. But of course that means wearing the same old black, grey and blue pairs gets kind of stale-feeling after the first bazillion times. But enough about me and my denim preferences. 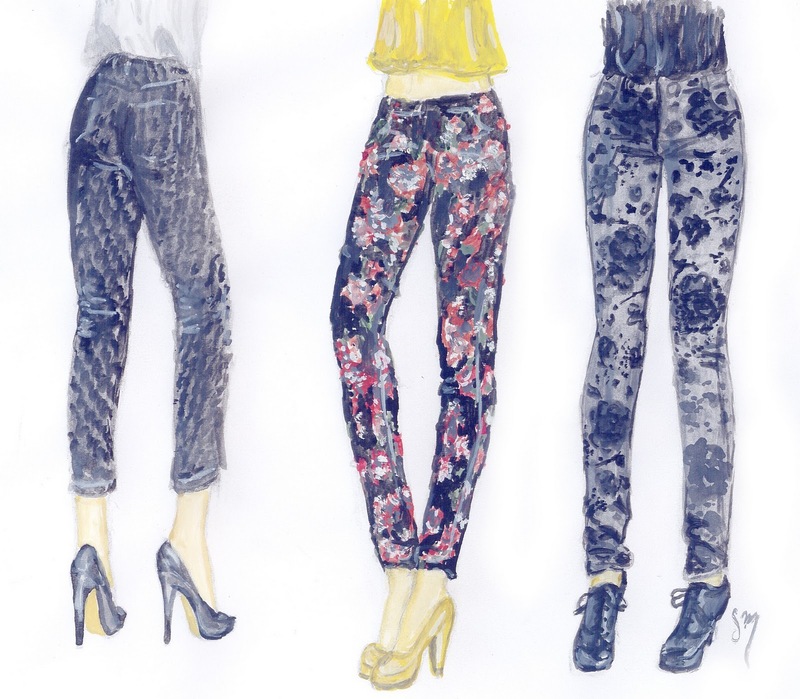 What do you all think of the patterned jeans trend? I'm way more into this than I've been about other jeans trends like wax coatings (why?) and neon colors (honestly what's attractive about glowing in the dark? ).